Holliday Fenoglio Fowler, L.P. (HFF) announced it has arranged $75 million in financing for The Confluence, a 287-unit, luxury residential tower in downtown Denver, owned by a partnership between National Real Estate Advisors, LLC (National), acting on behalf of a client, and PMRG, which recently merged with Madison Marquette. HFF worked on behalf of ownership to secure the 10-year, fixed-rate loan through a life company lender. Loan proceeds are being used to retire existing construction debt. HFF previously arranged the joint venture partnership between PMRG and National in 2013 at the start of the project’s development process and later procured construction financing for the partnership in 2015. The Confluence is situated on 1.21 acres at the southwest corner of 15th Street and Little Raven Street in the Riverfront Park area of the Denver CDB. The live-work-play property is walking distance to public transportation at Union Station as well as the city’s largest concentration of office space and numerous entertainment/lifestyle amenities. 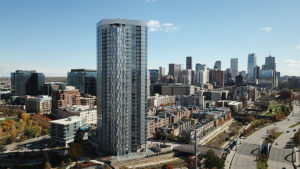 Completed in 2017, the 34-story tower provides mountain and skyline views and includes approximately 8,029 square feet of ground-floor retail and three levels of underground parking. The HFF team representing the borrower included managing directors Josh Simon and Rob Rizzi. CBRE recently completed the $26.75 million sale of the 180 Flats apartment community located at 848 South Dexter Street in Denver’s Glendale neighborhood. CBRE’s Dan Woodward, David Potarf, Matthew Barnett and Jake Young represented the seller, New York-based Arel Capital. 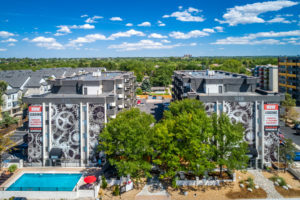 The buyer, RedPeak Properties of Denver, purchased the 142-unit community in a sale that closed February 27, 2019. “We continue to see strong demand across the Front Range for value-add multifamily properties in strategic locations. 180 Flats’ location just east of Cherry Creek in Glendale offers incredible proximity to high quality employment, shopping, dining, and entertainment. Additionally, extensive recent capital improvements at the property leave minimal deferred maintenance, while initial unit renovations have proven the ability to increase rents and create value,” said Jake Young, first vice president, CBRE. Built in 1974, 180 Flats contains 142 one and two-bedroom units across two rental buildings on 2.14 acres. Community amenities include a business center with WiFi, fitness center and outdoor pool and grilling area. The property has seen extensive capital improvement over the past several years and prior to this sale the seller renovated a number of units with upgraded flooring, lighting and kitchens, leaving a large majority of the units ripe for continued renovation. 180 Flats is located at the corner of South Dexter Street and East Kentucky Avenue, a few blocks east of Colorado Boulevard in the heart of Glendale. The area has served as a hotbed for recent economic development, including the high-profile Glendale 180 and 9th & Colorado mixed-use projects. “The east side of Colorado Boulevard in particular has seen a burst of investment activity with many multifamily communities trading over the past three years. 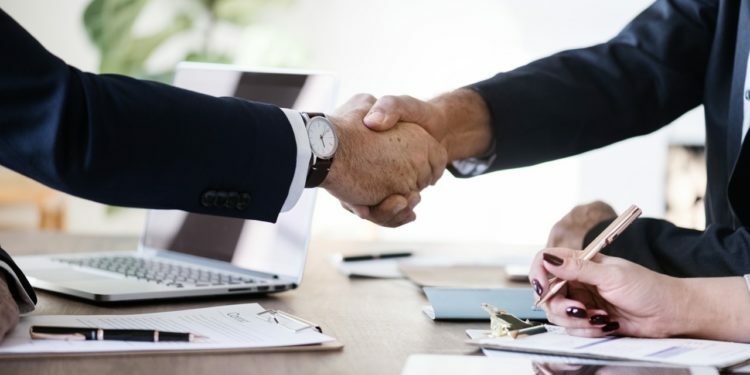 With most of these properties undergoing extensive capital improvements, it has raised rents across the submarket, which only serves to sustain investor interest,” added Dan Woodward, executive vice president, CBRE. Trevey Commercial Real Estate announced the successful sale of Twenty Mile Mercantile retail/office building in Parker for $6.1 million. The Twenty Mile Mercantile building has long stood as a popular commercial center in Parker. Tenants like Core Power Yoga, Re/Max Alliance, Tealeaves Café, and others draw hundreds of locals to the center each week. The building’s strongest selling point is its unique position across the street from the new West End on Mainstreet development project. West End will serve as a multi-use retail, residential, hospitality, culinary, and entertainment complex focused on providing a high-quality destination unique to Parker. With its integration into the new development, Twenty Mile Mercantile is set to benefit greatly from the area’s increased investment and commercial traffic. Twenty Mile Mercantile represents a rare opportunity to invest in Parker’s booming West Mainstreet corridor. 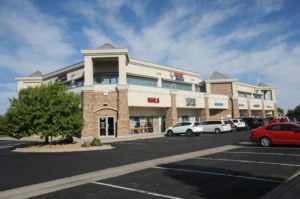 Along with the advantages of its location near the West End project, the building is within walking distance of over 1,400 multi-family units, a short drive from Downtown Parker, and enjoys the security of several long-term tenants. The deal closed on March 13th. Nick Nickerson, Patrick McGlinchey, and Mitch Trevey of Trevey Commercial Real Estate represented the seller, Twenty Mile Mercantile, LLC. Steven Jones of Re/Max Masters Millenium represented the buyer, 116 Mott St. Realty Corp.
Nexus Commercial Realty, LLC, closed on the sale of 4101 MLK Blvd, a 7-unit multifamily property consisting of 6,176 square feet for the sale price of $1,495,000. 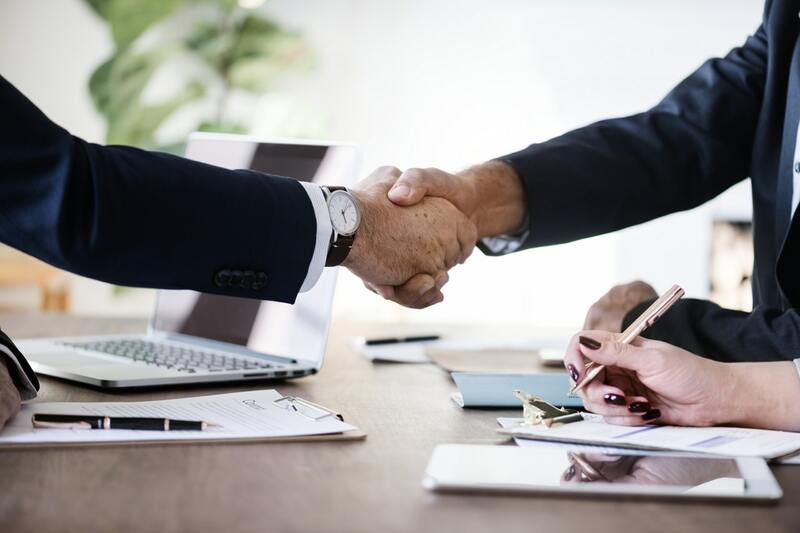 Sean Holamon of Nexus represented the Seller, Apex Real Estate Solutions, as well as the Buyer, Greenbush and SXI Properties LLC. The property sits on a large 18,700-square-foot lot and the unit mix consists of four two-bed units and three one-bed units. The seller made major renovations to the property before taking to the market as a turn key asset with a 6+ cap return. 4101 MLK Blvd is conveniently located close to the intersection of Colorado Blvd and MLK Blvd, in North Park Hill about 1 mile from City Park and the Denver Zoo. The Buyers were attracted to the neighborhood and the quality of work completed at the property. They plan to increase rents as leases expire to maximum their return. SVN | Denver Commercial announced the sale of 6345 Rockwell at the Loveland Airport. The 68,818 sq. ft. land parcel was sold for $600,000. Bill Reilly, a senior advisor with SVN Denver/Commercial represented the seller during the transaction. 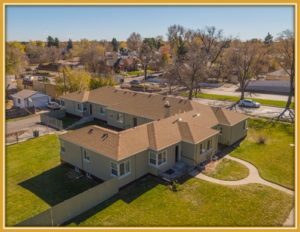 Nexus Commercial Realty, LLC, has closed on the sale of 602 E Cache La Poudre, a 6-unit 3,137 sq. ft building for the sale price of $430,000. Pat Knowlton & Robert Gray of Nexus represented the Seller, Louis L Oakeley, Pat Knowlton & Robert Gray represented the buyer, Cache properties, LLC. The 602 E Cache La Poudre property is a unique property with multiple unit floor plans that range from studio up to two-bedroom apartments. The owner purchased the property in 2003 and has enjoyed steady cashflow since purchasing. Buyer saw potential in this property based on its great location downtown near Colorado College. NavPoint Real Estate Group has completed the sale of 7,892 SF of Industrial space located at 7076 S Alton Way Unit H. The seller was HD Alton LLC. The buyer was 7076 S Alton Way LLP. Matt Kulbe of NavPoint Real Estate Group represented the seller. Jacob Hawkins of David Hicks Lampert Brokerage represented the buyer. Pinnacle Real Estate Advisors, LLC announced the sale of a 2,784 square foot multifamily property for $730,000 located at 1380-1386 Balsam Street in Lakewood. Josh Newell & Connor Knutson represented both the Seller, P & G Properties RLLLP and the Buyer, Eclaire Holdings, LLC in the transaction.